1 313,22 € 1 313,22 € tax incl. 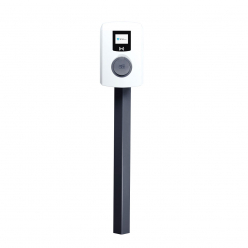 Simple charging station Alfen Eve Mini 904460036 - Type 2 with shutter - 3.7 to 22kW 16 / 32A - Adjustable - 2G RFID MID is ideal for car business within or outside (IP54) or public car park . 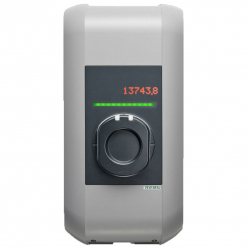 This charging station will allow you to enjoy your EV through a system reload Mode 3 (IEC61851 ), simple, reliable and fast. 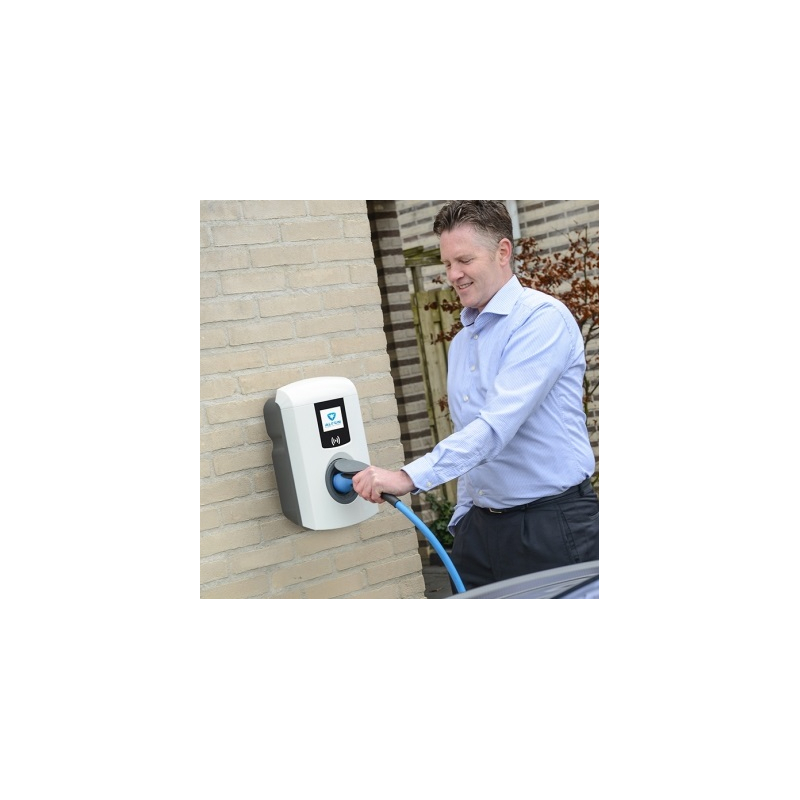 The load power is adjustable from 3.7kW to 22kW in one phase or triphase , which allows to adapt the charging station to the available power of the installation. The function " Auto Recovery " allows, in case of power failure, overheating or failure of the RCD, to take charge as soon as the power is restored. 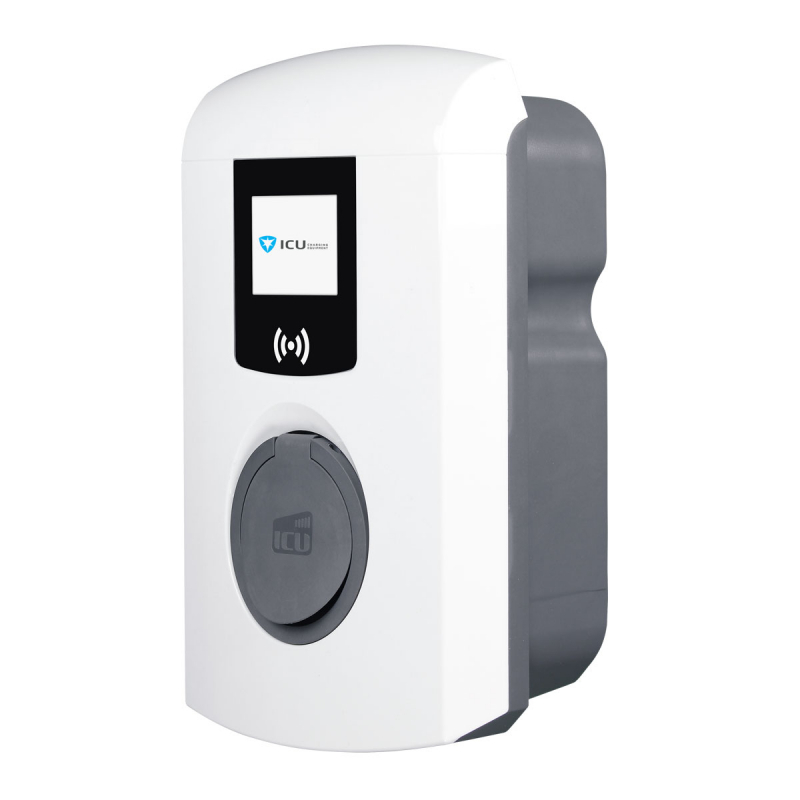 Eve Mini charging station can be set based on your need: access free access RFID card , or access paid . A request for access to Alfen software is to make the part of the installer. 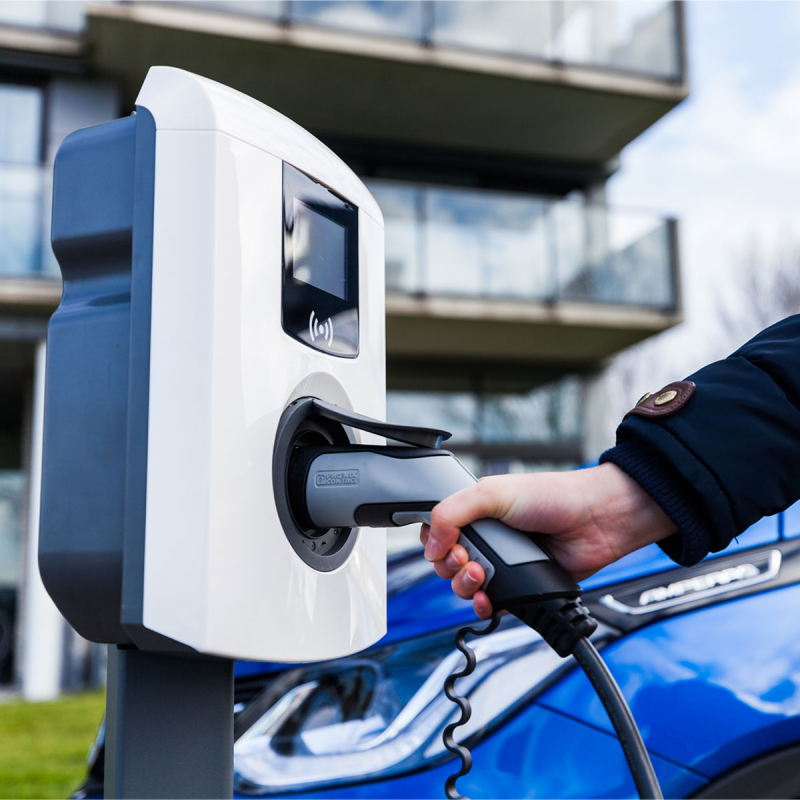 Once your application is approved, you will have access to your charging station management software that will allow you to add new RFID access cards, or modify the power of the charging station between 3.7 and 22kW. he connection between the PC and charging station is possible either by Ethernet cable (easiest) or via 2G SIM. 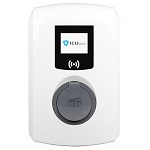 The 2G modem allows remote connection to a backend software CCMA, which can activate and manage a mobile charging station for a RFID cards on the market. Up to 100km more runtime per charge time (if charging to 22kW). 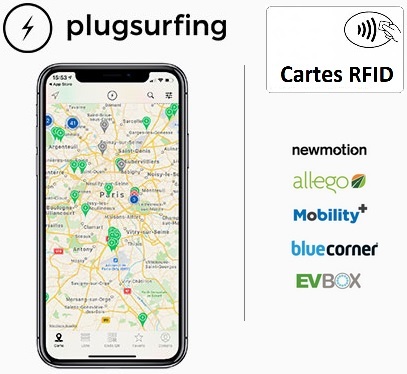 This option allows you to make your charging station available to everyone, thanks to MyCarplug management software, RFID card or app, fix the resale price of your electricity, and automatically receive payments on your account. You can also register cards RFID in the software to create free access. It is useful if you do not know who will take care of your charging station. Online access to the management software will be provided. More information on paid access by RFID card or App . 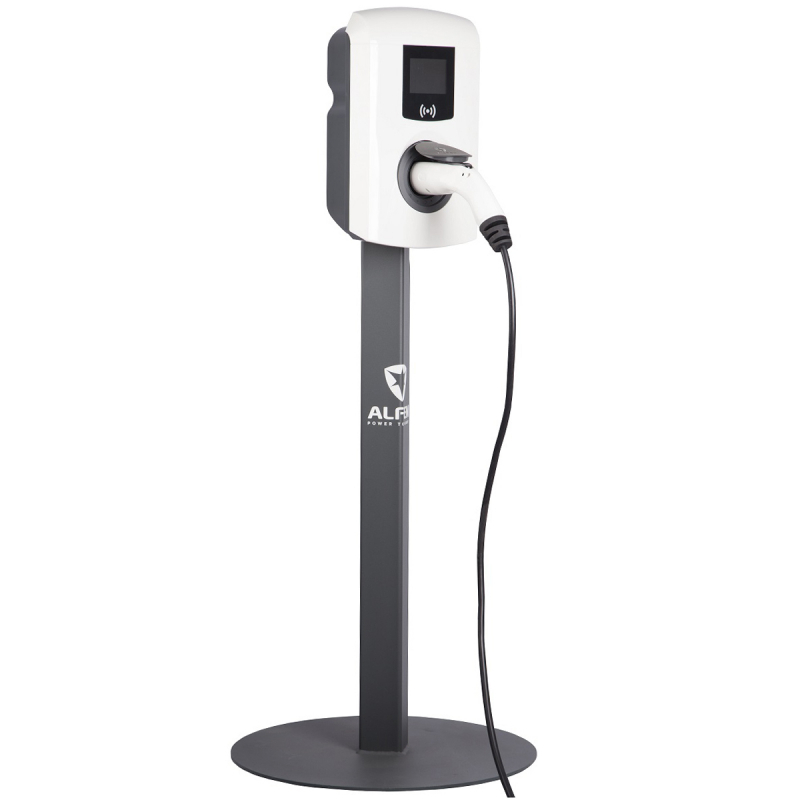 ALFEN is a Dutch company listed on the Amsterdam stock exchange, which manufactures charging stations since 2011. The brand has become internationally recognized for its charging stations, which are synonymous with robustness, reliability and ease of use . 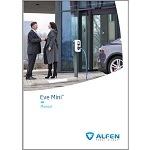 Alfen Eve Mini charging station meets European standards and is compatible with all electric vehicles. Its handling is of type 2. Manufacturers typically provide with a charging cable with a type 2 connector to the charging station. 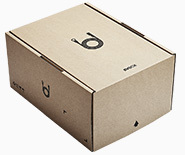 If this is not the case, you will find type 2 charging cables in the category charging Cables . Adjust the power load to your installation. 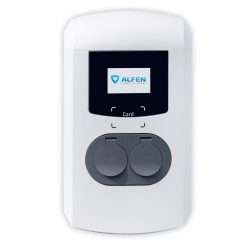 The load power is adjustable between 3.7 and 22 kW with downloadable ICU charging station software, software available on the website Alfen. The "auto recovery" fonction allows, in case of power failure, overheating or failure of the RCD, to work again as soon as the power is restored. 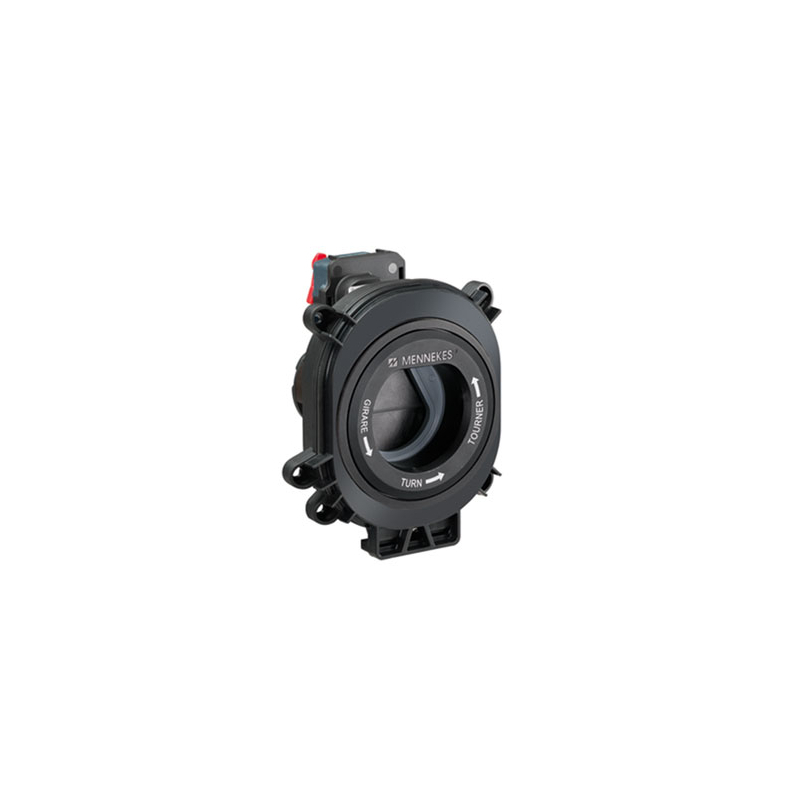 In addition, the charging station has a DC leakage detector, and therefore it becomes unnecessary to install expensive upstream type B RCD. A conventional differential type A is enough. Alfen Eve mini charging station can be easily integrated into the network, connecting each charging station by Ethernet cable to a switch. 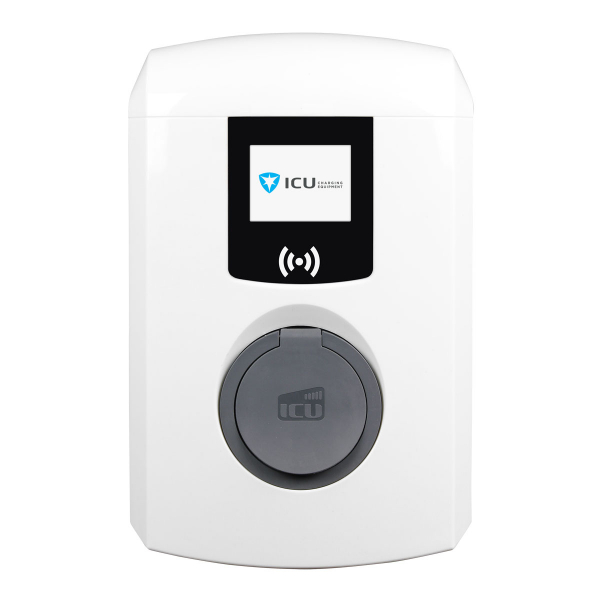 Depending on the need, each charging station can be configured as master or slave via the ICU software Alfen. 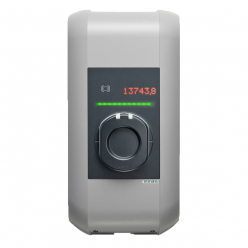 The management software into the charging station also secures maximum instantaneous consumption for all charging stations, and thus avoid blowing the circuit breaker when all charging stations are used. A RFID reader is built into the charging station. If you choose the RFID card access option or paid access via RFID card or App then the charging station stays locked and is not activated unless a valid RFID card is swiped at the reader. To stop charging, the user must pass his card again to the reader. Registration of new RFID cards can be done via the ICU software Alfen, or via the management software mycarplug . Alfen charging station, with its index of protection IP54 and IK10, weatherproof and shockproof and suitable for indoor or outdoor use. Its protective cover of composite material reinforced with glass fiber is highly resistant to impacts and faces vandalism. 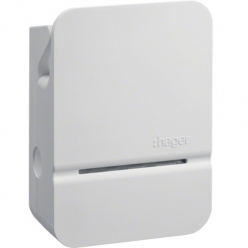 The charging stations are sold with a wall mounting kit. 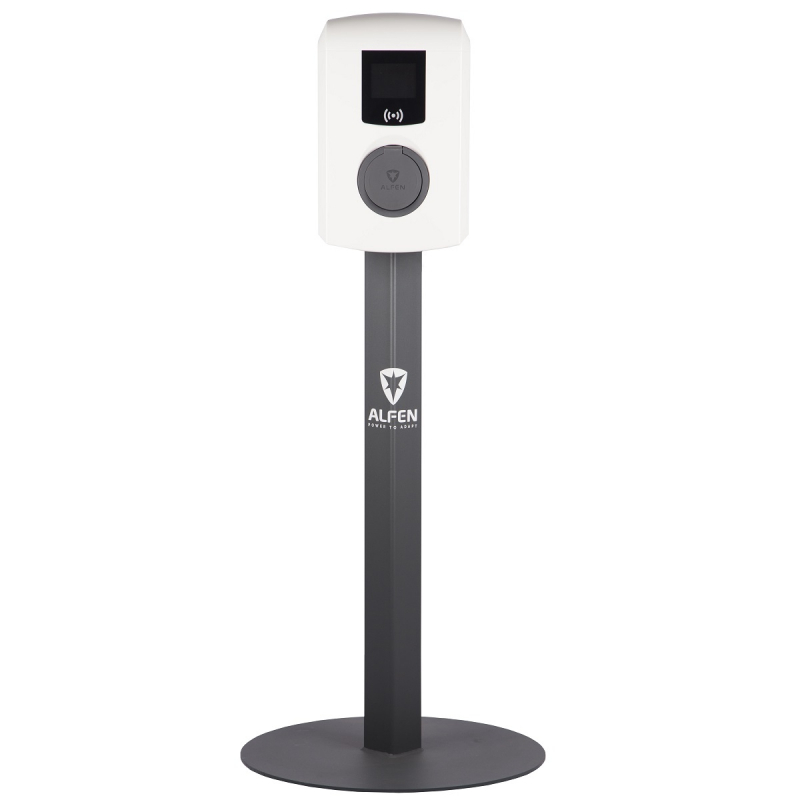 Different mounting poles are available here : Alfen charging stations accessories .